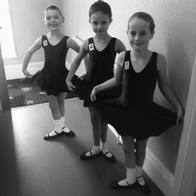 The Ballet & Tap classes take place on Monday & Thursday evenings and Saturday mornings, from the age of 3. We teach graded syllabus in which exams are taken twice a year along with medals and awards. The classes take place in a reasonable sized hall with a built in ballet bar for the children to use. We have two large tap mats which cover the floor to get the best sound out of the tap shoes. The cost of the lessons ranges between £5 and £7 depending on the grade. This price includes a Ballet and Tap lesson. If the pupil wishes to do just one of the styles of dance the price ranges between £3 and £4 depending on the grade.